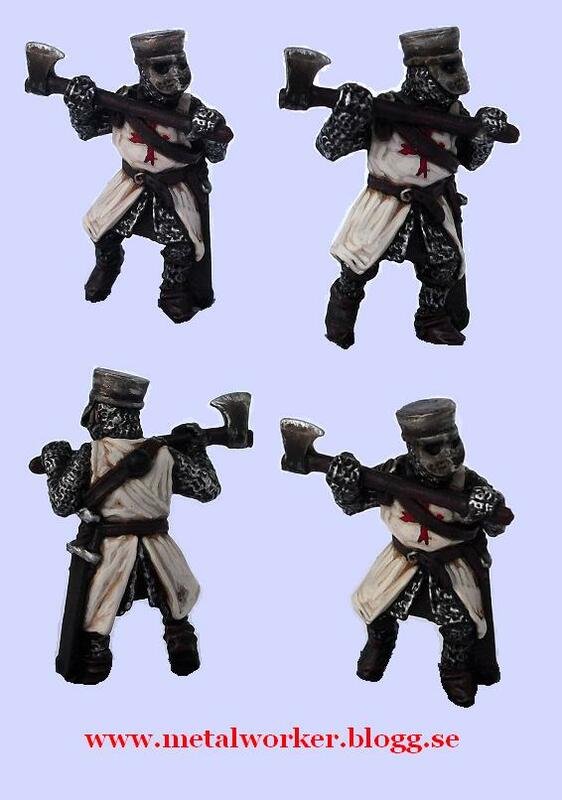 This Gripping Beast miniature are painted as a early Norman Crusader of the 12th Century. Possibly from one of the Crusader states. The Templar is from Black Tree Design. 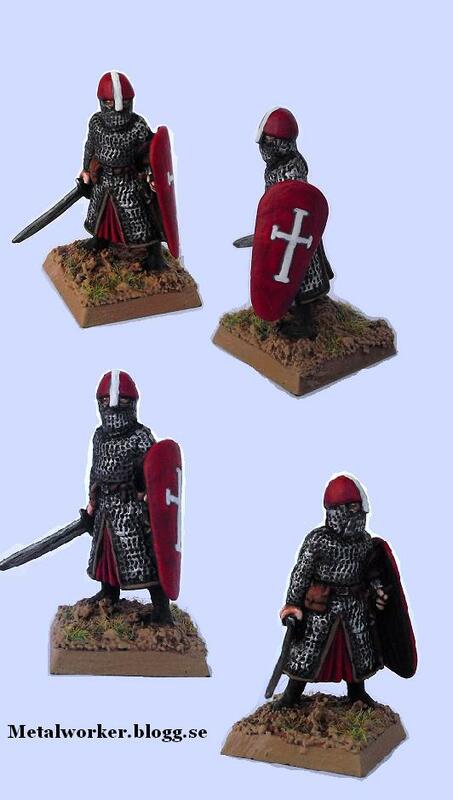 All Normans and Crusaders Ive bought from them are of very high quality and looks cool. I paint my Templars rough and non dashing. The White is dirty and the armour is a bit rusty, The leader dark and smokey. This to define them against my secular knights that are more bright and polished. Djäkligt fin tolkning av Normanden. Snyggt!